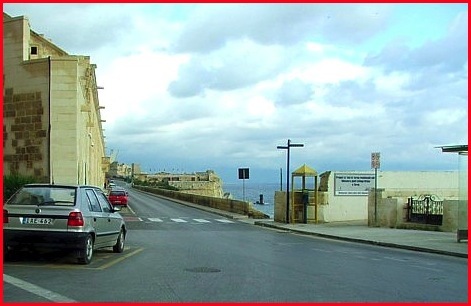 Marsa Traffic Junction to Valletta, escaping most of the traffic. 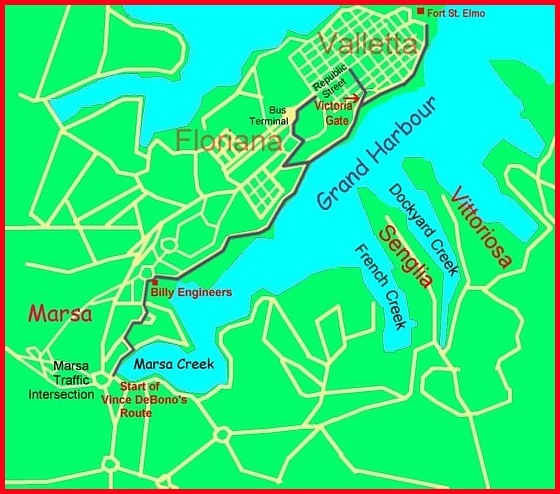 Hopefully the map above will give you some idea of the Vince route(s) to get from Marsa Traffic Intersection/Island into Valletta missing most of the traffic. 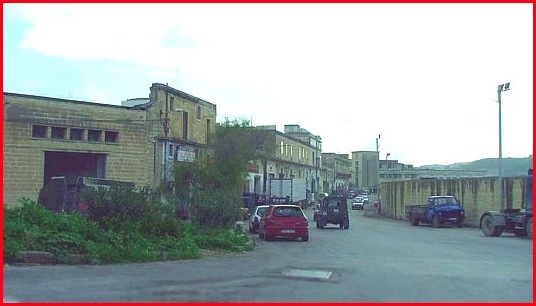 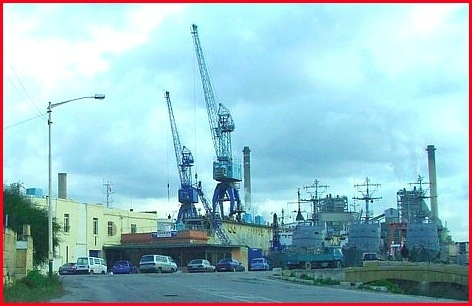 go north west along Moll tal-Knisja ( Church Wharf ). 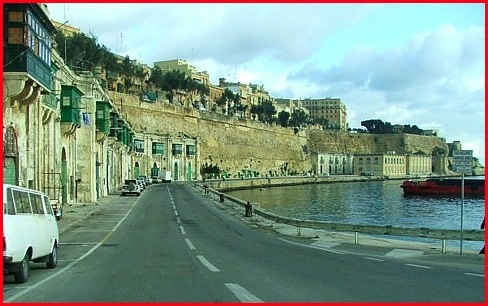 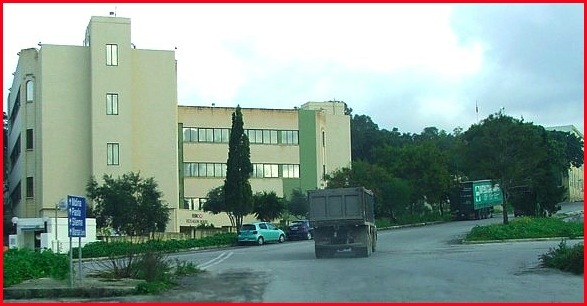 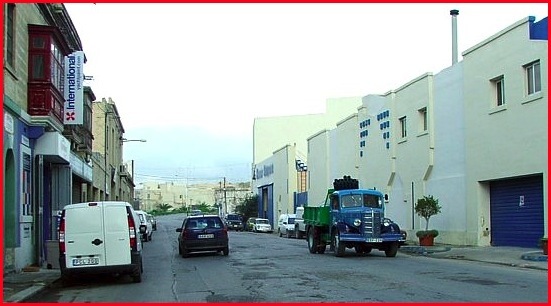 Along this road you should glimpse the Grand Harbour on the right (picture above). 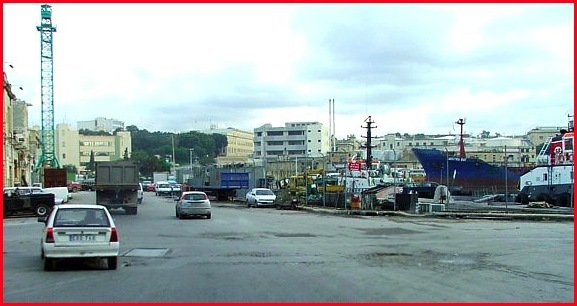 ....and along this road, which goes to the traffic island near Billy Engineers. 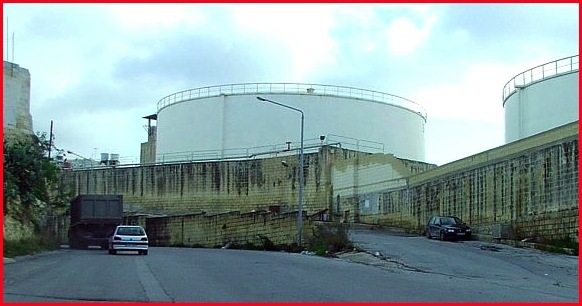 ....and continue along the road passing the Power Station on the right. 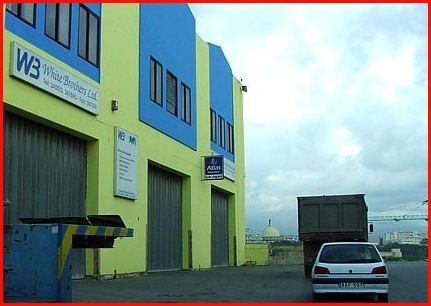 Then you go by the White Brothers Transport firm. 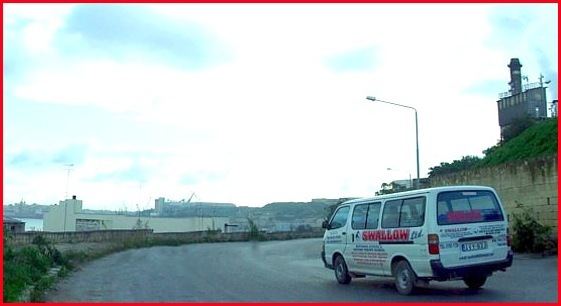 ....along the road towards Sea Malta (The cruise liner terminal). 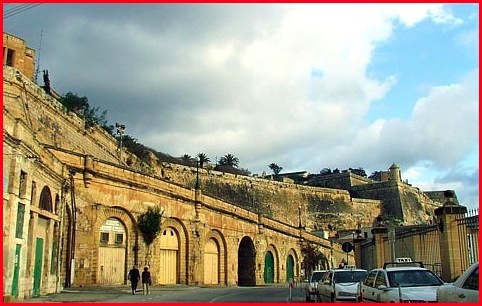 one that is just above the arches that can be seen in the above photograph. 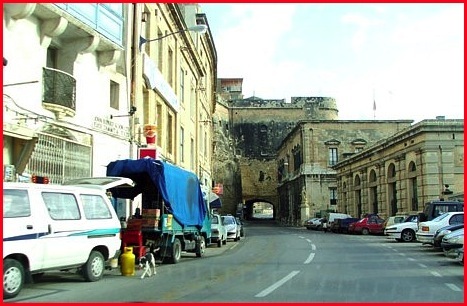 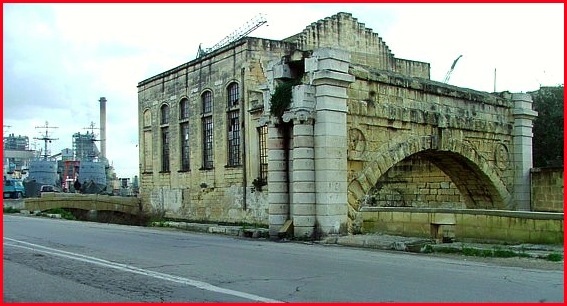 City Gate or Glormu Cassar Street towards the Auberge de Castille. 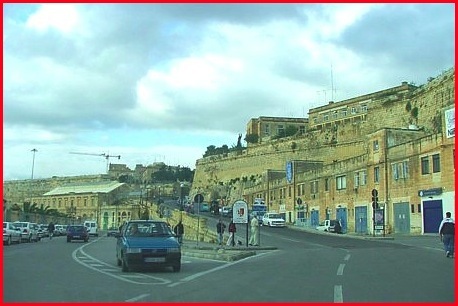 at Fort St. Elmo, passing the Malta Experience on the way. 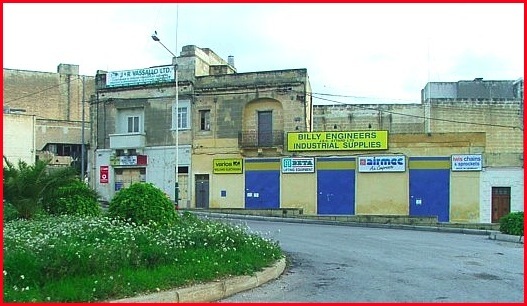 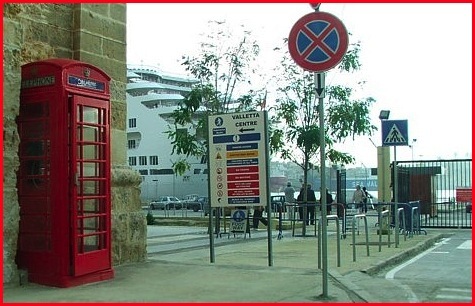 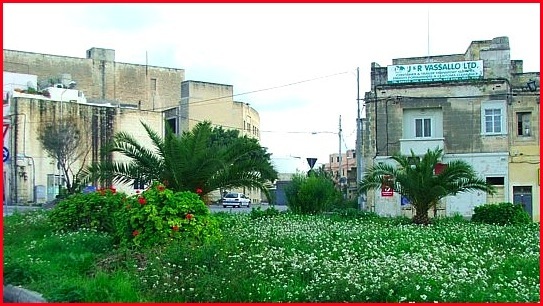 If you visit Malta and require the services of a tour guide why not contact Vince DeBono, without whose help this page would never have been constructed.